Home Ask Chris Were There Supposed to Be More Park La Brea Towers? Were There Supposed to Be More Park La Brea Towers? There weren’t supposed to be any, but a booming population after World War II convinced Metropolitan Life Insurance to add them. 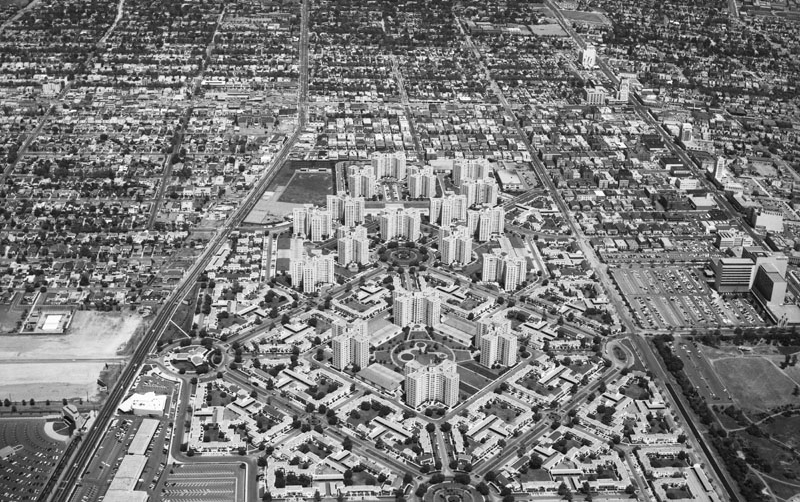 When the company purchased the site from USC in 1940, it planned to build 2,641 low-rent garden apartments and preserve 82 percent of the land as open space. By the time the project was finished 12 years later, the company had expanded its plans to the 18 towers you see today. RELATED: Did Aleister Crowley Use an Occult Temple in the Hollywood Hills?